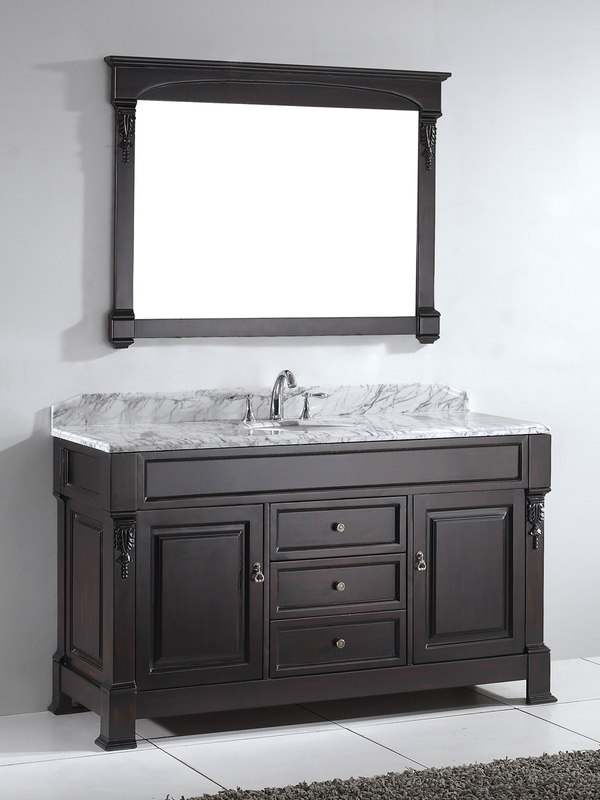 The 59.5" Huntshire Vanity is a great solid wood feature for anyone looking to add class to their bathroom. 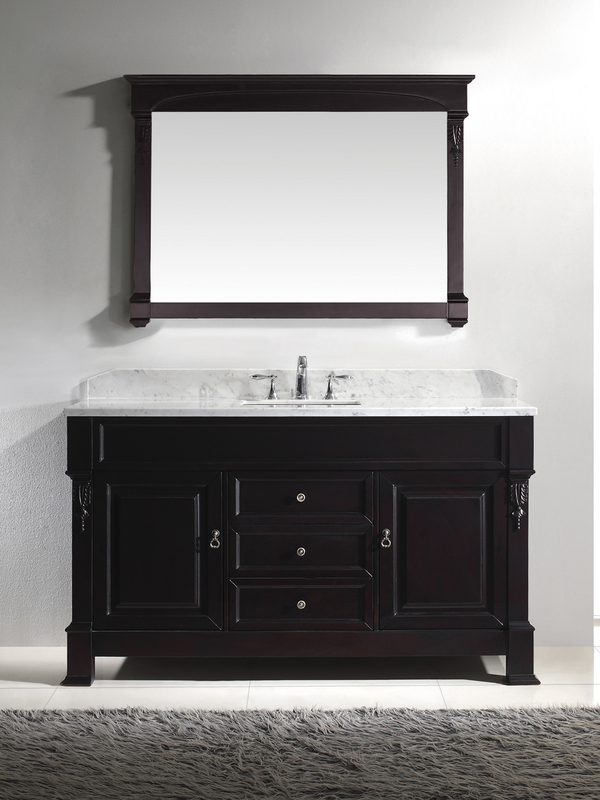 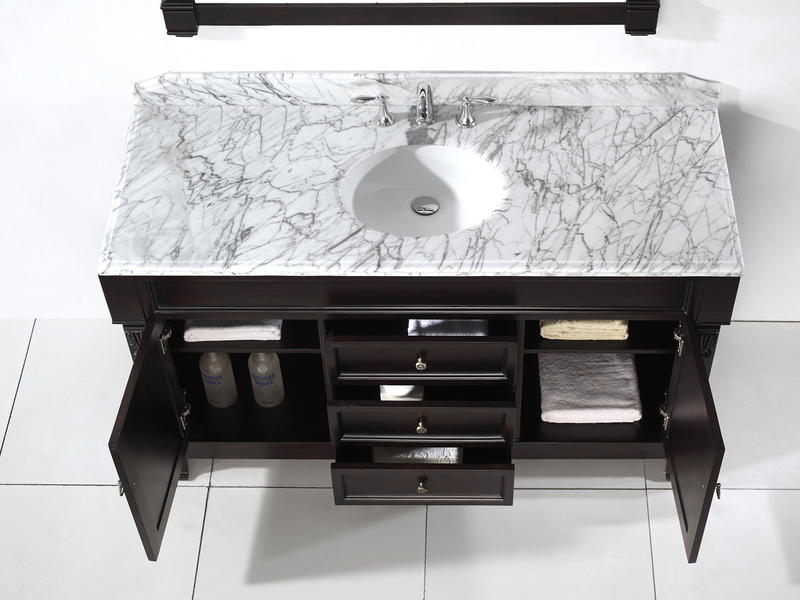 For a single vanity, this is the larger end of our Huntshire line. 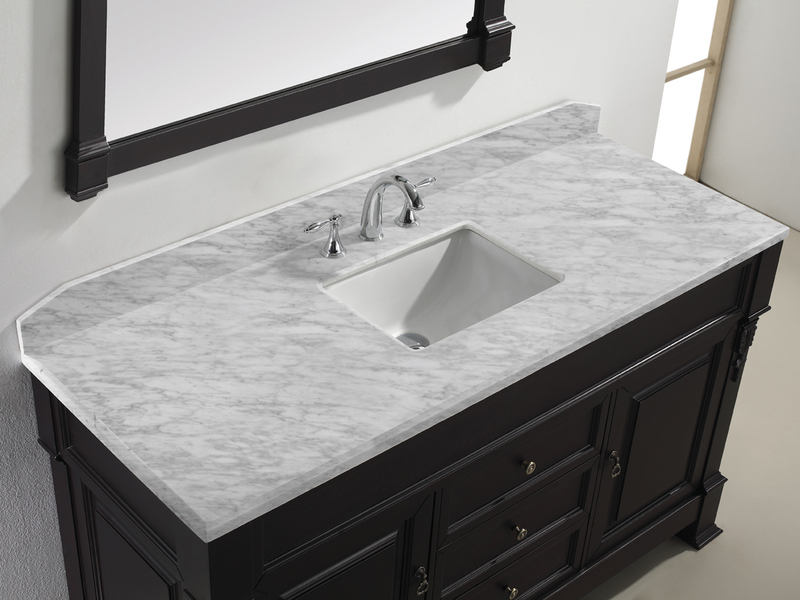 With a smooth white Italian Carrera marble counter top that sits comfortably on a large, solid oak counter top, the Huntshire is sure to please even the toughest critics. 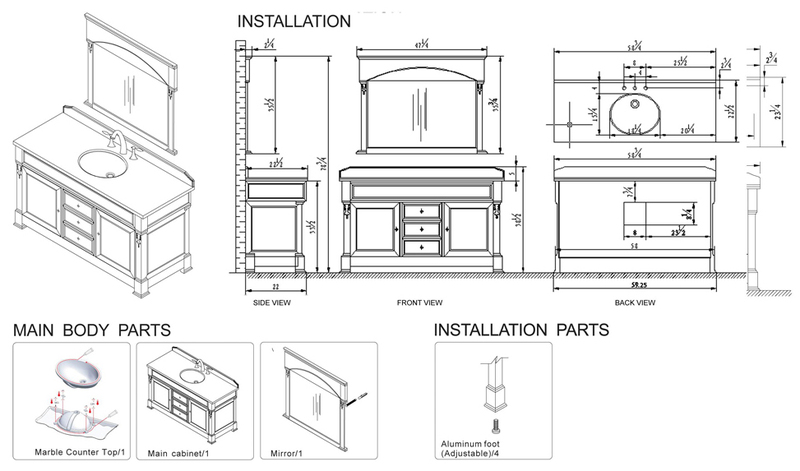 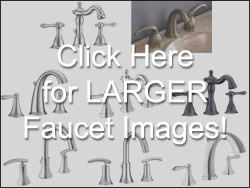 All of the hardware is included that is shown on the cabinetry, but the faucets are sold separately. 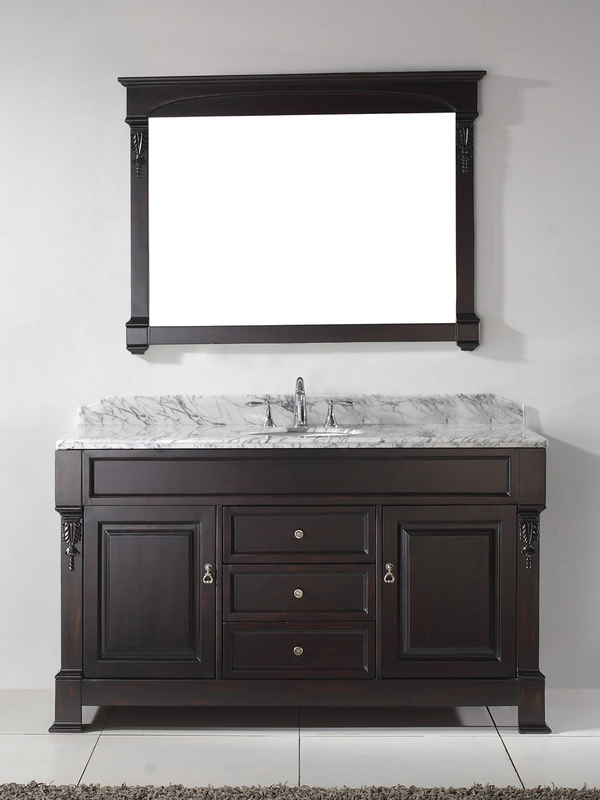 The matching mirror in the image is also included, and a pre-fastened undermount porcelain sink. 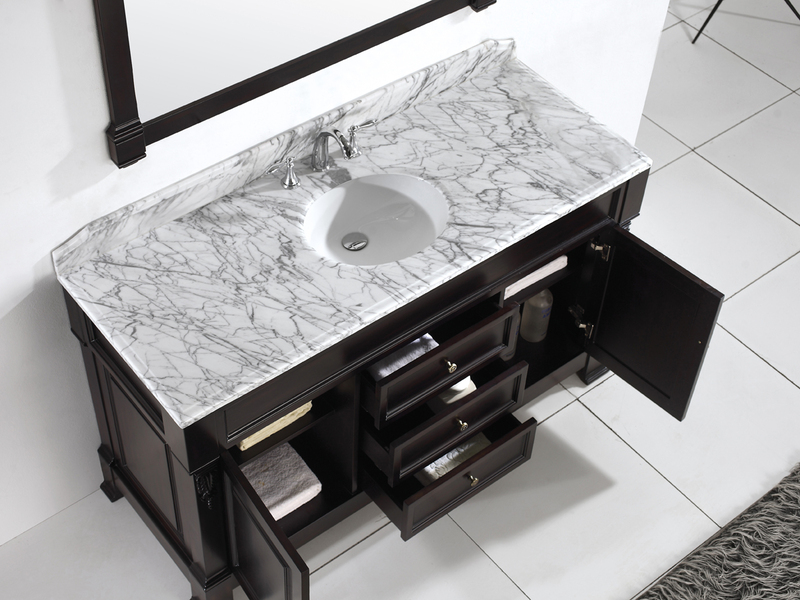 With the large cut out behind the vanity for easy plumbing, this vanity is prepped for landing and waiting your permission.